Pressure transducer protector, also called TP or blood catcher, is used in operating rooms, intensive care units and hemodialysis clinics around the world. These small devices safeguard the health and safety of millions of critically ill patients every year. They work by forming a gas-permeable membrane that protects internal pressure-monitoring components. At the same time, they keep blood and dialyzing fluid from leaving the appropriate circuit and contaminating medical equipment. This lowers the risk of blood-borne infections and reduces system downtime. To assist health care buyers and clinicians, Elcam Medical has provided the following information about their transducer protectors. This guide covers their uses, benefits and configurations. According to the Centers for Disease Control and Prevention, dialysis patients experience a high rate of blood-borne infections. It's not just diseases like HIV and hepatitis. Patients are also susceptible to bacterial infections like Methicillin-resistant Staphylococcus aureus (MRSA). External TPs can virtually eliminate wetting and strikethroughs. 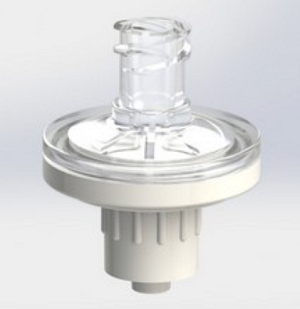 Transducer protectors are responsible for improving patient outcomes during life-saving treatments. They also reduce health care overspending that occurs when individuals are exposed to infectious agents. These medical devices protect patients and provide peace of mind for clinicians. Here are a few of the benefits. Although TPs are commonly used during dialysis, they can also function as gas or air vents in respiratory circuits and enteral feeding pumps. Regardless of the intended use, all transducer protectors feature the following components. The main differences are the materials and the type of blood-line connections. For improved performance in clinical settings, TPs incorporate a variety of high-performance plastic polymers. Membrane Materials: Most TPs feature acrylic or polytetrafluoroethylene (PTFE) membranes that have pores as small as two-tenths of a micron. These substances are ideal because they are hydrophobic and oleophobic. Housing Materials: The outer housing is typically made from injection-molded PVC or polycarbonate. Medical-grade PVC shells are available with or without phthalates like DEHP depending on the required level of elasticity. Fittings and Ports: TP shells are available with male and female Luer locks that are secure and easy to use. Alternatively, they might feature snap-off or slip-on connectors as well as ports for 5.5 millimeter tubing. Each component is ultrasonically welded to the polymer membrane. This manufacturing method produces a strong bond that helps devices perform reliably when exposed to high-pressure pneumatic pulses. In the health care industry, corporations must balance patient safety and spending. According to Elcam Medical, ISO-certified manufacturing methods are just one aspect of device quality. The integrity of pressure transducer protectors varies depending on these factors. Raw Materials: Elcam Medical selects materials based on their quality, durability and compatibility with gamma irradiation and ethylene oxide sterilization systems. Designs: All devices must be engineered for ease of use, dependability, consistent flow rates and accurate membrane inspection. Quality Controls: Integrated testing during assembly ensures that each unit manufactured by Elcam performs consistently and meets all safety standards. Contact Elcam Medical today to learn more about the transducer protector and the clinical applications of the pressure transducer protectors. With more than 45 years of manufacturing and design experience, the company is a leader in the global medical OEM marketplace.